Meet the Secretariat for GSMUN XVIII! Click any member's photo to contact them. Sam has been enjoying the world of Model United Nations since her first GSMUN as an 8th grader from Moody Middle School. She has served as a crisis worker, a chair, the Director of Specialized Agencies, and the Director-General of GSMUN in the past, and therefore is able to empathize with every soul toiling on behalf of a single weekend in March. Her deepest thanks go out to the Maggie Walker community and the Greater-Richmond community as a whole. Sam has attended conferences at the College of William and Mary, University of Virginia, University of Pennsylvania, and Robert's College in Istanbul, Turkey. In her free time, Sam enjoys listening to the hippest bands, volunteering with the hippest nuns (the Little Sisters of the Poor), and interning at the hippest public law firm, the Federal Public Defender. When she feels she can afford it, she talks to her family and friends, and sleeps. Tallie Hausser is a senior at Maggie Walker and is incredibly excited to serve as the Director-General for GSMUN XVIII. She’s been involved with Model UN since eighth grade and her experiences involve serving as Chargé d’Affaires for GSMUN XVII, chairing DISEC for GSMUN XVI, and attending over 12 conferences including RCIMUN in Istanbul. Tallie spends her free time speaking French, writing music, teaching piano lessons, goalkeeping in field hockey and soccer, and traveling. Radhika is a senior at Maggie Walker. GSMUN has held a special place in her heart since she first attended as a delegate in 8th grade. She has since served as the crisis worker for the Canadian House of Commons, the Co-Chair of the Industrial Workers of the World, and (her personal favorite) as the Co-Chair for the Mexican Revolution Spanish-immersion committee during GSMUN XVII. She enjoys attending MUN conferences, the most memorable of which was RCIMUN in Istanbul, Turkey this past spring. 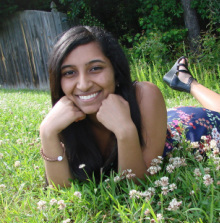 Along with editing background guides, Radhika interns at the Virginia Hispanic Chamber of Commerce, writes for the school newspaper, choreographs dances, and chatters away in Hindi and Spanish. In her spare time, she enjoys spending time with family and friends, travelling, and drinking tea. Radhika is grateful for this opportunity and is excited to make this the best GSMUN ever! 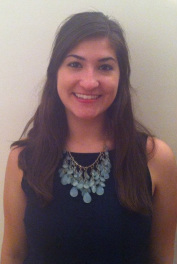 Elizabeth Levit is a senior at Maggie Walker and has been involved in Model UN since eighth grade. This past year, Elizabeth served as co-chair for the African Union, the same committee in which she represented DR Congo at GSMUN XIV. 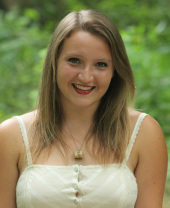 Elizabeth is also co-captain of forensics, co-president of Red Cross, and a devoted member of several honor societies. 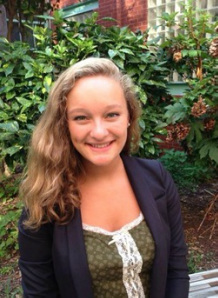 In her free time, Elizabeth tutors, dances, plays piano, and performs in local operatic productions. She enjoys singing about the French Revolution, talking to her dog, and dancing in the rain. Ciaran is a Senior at Maggie Walker who has been involved in MUN since Sophomore year. 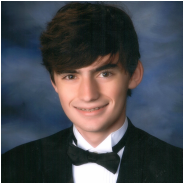 Ciaran has attended VAMUN 2012, NAIMUN 2013, TECHMUN 2013, WMHSMUN 2013, and ILMUNC 2014. He has also vice-chaired GSMUN's own Israeli Yom Kippur JCC and chaired last year's British Parliament JCC. Apart from serving as the co-Treasurer of Maggie Walker MUN, Ciaran also runs the B-Movie Club, and is involved in the leadership of the Maggie Walker Child's Play Club. Purnima Ghosh is a senior at Maggie Walker Governor’s School and has been a member of Model UN since she was a freshman. Channeling her Indian ancestry, Purnima won Best Delegate in the Cabinet of Indian Ministers at VAMUN 2012. Following her love for MUN, she was the Under-Secretary General for Logistics at last year’s GSMUN, chaired the Organization of American States (OAS) at GSMUN two years ago, and is the current club President. Outside of Model UN, Purnima is class co-treasurer, participates in Model Congress and plays for the girl’s tennis team at Maggie Walker. In her free time (however rare that may be) she loves to read and play piano. 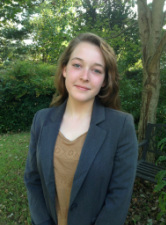 Reed is thrilled to serve as the Chargé d’Affaires for GSMUN XVIII during her senior year. She has been attending conferences and participating in Model UN since she came to GSMUN in 8th grade. 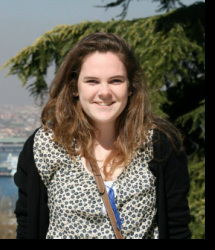 Most recently, she traveled with the Maggie Walker team to RCIMUN in Istanbul, Turkey. You might recognize her as the Director of Press and Publications from last year, or the girl constantly shoving t-shirts in your face. Reed also serves as the Co-Secretary of the Model UN Club with the lovely Sam Schwartzkopf, Chair of the Maggie Walker Honor Council and President of EduPAC. In her limited free time, she enjoys watching Downton Abbey and Leonardo DiCaprio movies. She is so excited to have the opportunity to help make this the greatest GSMUN yet! Elena Zhou is a senior at Maggie Walker. She's been involved in MUN ever since her first conference in 8th grade at GSMUN! In addition to writing working papers and learning the quirks of Robert's Rules, she also participates in Future Problem Solvers, is a member of the SCA, and plays on the school's volleyball team. With the free time she has, she likes to watch the newest movies with friends and chill at cafes. Excited to meet everyone at this year's GSMUN! 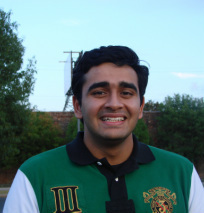 Anant fell in love with Model UN when he attended GSMUN XIV as an 8th grader. Since then, he has participated in a number of conferences around the state including VAMUN, WMHSMUN, and NAIMUN. Anant served as co-Treasurer for the club last year, in addition to chairing the G20 Summit and the Second Continental Congress at GSMUN XVI and XVII, respectively. Outside of Model UN, Anant enjoys swimming, robotics, and reading. Feline Lucas, a senior at Maggie Walker, has been involved in Model UN since the 8th grade when she first attended GSMUN XIV. Since then, she has continued with MUN and has attended conferences such as WMHSMUN, VAMUN, TECHMUN, and ILMUNC. She was also fortunate enough to go to Maggie Walker's first conference abroad, RICMUN, in Istanbul, Turkey. Furthermore, she has also enjoyed her experience chairing for the Organization of American States at GSMUN XVI and fulfilling the position of Director of Committees for GSMUN XVII. This year she is overjoyed at the opportunity to be the Director of Charitable Giving. Feline is also the co- president of the Model UN club with Purnima Ghosh. In her free time she enjoys watching BPL soccer, hanging out with friends, speaking French, and traveling. She looks forward to seeing all of the delegates at the conference and making this the best GSMUN yet! Srishti Sanya is a senior at Maggie Walker, and has been involved in Model UN since eighth grade, when she attended GSMUN XIV as an enthusiastic delegate. She has since attended conferences such as NAIMUN, ILMUNC, VAMUN, and WMHSMUN, all of which were valuable experiences. Having served as a crisis staffer, a vice-chair, and a chair for previous GSMUNs' Press Corps, she looks forward to using her technical skills to help create a fabulous GSMUN for everyone! When away from Model UN, she devotedly serves as Website and Photography Editor for the school newspaper and as as the Marketing and Media lead on the school's FIRST Robotics team, The Mech Tech Dragons. She is also an active member of Club Asia and Model Congress. In her limited free time, she enjoys surfing the web, playing video games, and honing her photography and film-making skills. 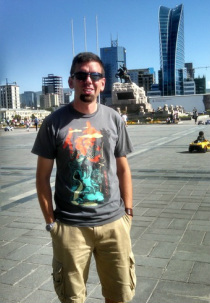 Mr. Smith is in his seventh year teaching Global Studies and sponsoring Model UN at Maggie Walker. Previously he taught modern world history and philosophy for Henrico County’s International Baccalaureate program. There he received distinctions as a Meritorious New Teacher from the state and New Teacher of the Year from his school. Mr. Smith received his BA from the University of Richmond with majors in History and Drama, with a concentration on Western Europe and Russia/the Soviet Union. He received his endorsement in Gifted Education in 2007 and finished his Master’s Degree from the University of Virginia in 2010. He is a member of Omicron Delta Kappa, Kappa Delta Phi and Phi Alpha Theta honor societies. One of his favorite pastimes is traveling. He has been on a teaching fellowship to Germany (2005) and another in Korea (2008). In the past, he’s traveled to Croatia, Turkey, Italy, Greece, the Czech Republic, Austria, Hungary, England, France, Russia, Mongolia, China and Spain. He also enjoys home improvement, going to the gym, camping, community service and visiting family and friends.